The Star Kingdom has a new generation of officers! And this elite group hand-picked and trained by Honor Harrington herself is going to be needed immediately, as their first assignment turns out to be more dangerous than anyone expected. 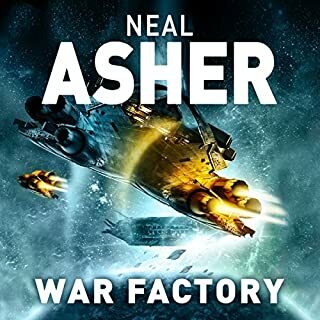 What was supposed to be a quiet outpost, far from the blazing conflict between the Star Kingdom of Manticore and the People's Republic of Haven has actually been targeted by an unholy alliance between the slaveholders of Manpower. The Alliance has been fighting the Syndic for a century, and losing badly. Now its fleet is crippled and stranded in enemy territory. Their only hope is Captain John "Black Jack" Geary, a man who has emerged from a century-long hibernation to find he has been heroically idealized beyond belief. Now, he must live up to his own legend. Book #1 of the Stellar Conquest series... In 2115, EarthFleet sends its best warships and bravest Marines on a one-way trip to conquer an alien star system - to win or die trying. Having made a superior look a fool, Honor Harrington has been exiled to Basilisk Station in disgrace and set up for ruin. Her demoralized crew blames her for their ship's humiliating posting to an out-of-the-way picket station. The aborigines of the system's only habitable planet are smoking homicide-inducing hallucinogens. Parliament isn't sure it wants to keep the place; the major local industry is smuggling; the merchant cartels want her head; the star-conquering, so-called "Republic" of Haven is up to something; and Honor Harrington has a single, over-age light cruiser with an armament that doesn't work to police the entire star system. But the people out to get her have made one mistake. They've made her mad. There's been some confusion—not to say, um, energetic debate, readers and fans being readers and fans—about the correct pronunciation of "Manticoran." The truth, alas, is that a stitch was dropped. An error occurred. 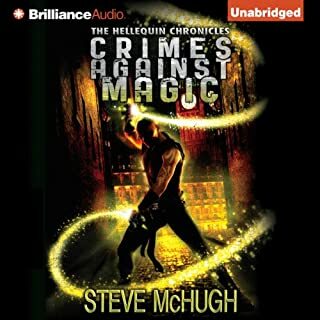 A mistake was made… and it wasn't Audible's fault. It was mine. Before Audible recorded the very first Honor Harrington book, narrator Allyson Johnson and I not only corresponded by e-mail but actually spoke to one another by phone. She wanted to make absolutely certain she had the correct pronunciations for names, places, star nations, etc., and I tried to make certain all of her questions were answered. And so they were. Unfortunately, at some point in the process, I replied to one of her e-mails by telling her that "Man-ti-core-ahn" was pronounced "Man-tik-er-ahn." Exactly how this happened is more than I can say at this point, except to blushingly disclose that the original e-mail remains intact, confirming to all the world that it was, indeed, my fault. I can ascribe it only to a temporary mental hiccup on my part and crave your forgiveness. If, however, you must blame someone for the mix-up, that someone should be me and not Audible, who have done everything they could to get it right. 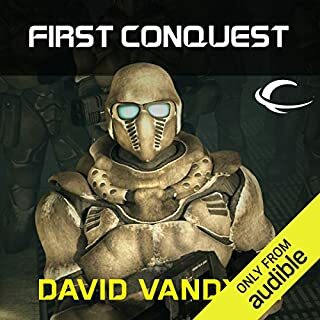 ©2002 David Weber (P)2009 Audible, Inc. I recently reviewed the latest entry into this series, and I blasted it pretty hard. Then, when my anger cooled, I wished that I could edit my review a bit, but Audible does not offer us a way to do that. So this review is, in part, my apology to Mr. Weber. In this book we see Honor Harrington as a young(ish) star ship captain. Her country is small, consisting of the people of three planets all in the same star system. They are being threatened by a very large and corrupt star nation consisting of many star systems. Many of the events--at least in the early part of the series--parallel broad events in the conflict between England and France in the early 1800s. (Napoleonic wars) The Hornblower series was about English sailing ships helping their country to fend off Napoleon. This series is about Manticoran star ships protecting their country. I hope what I have said so far doesn’t make Weber sound like a cheap hack copying a better writer. Hornblower was the “inspiration” for Honor, but the plots, characters and story arcs are all Weber’s. 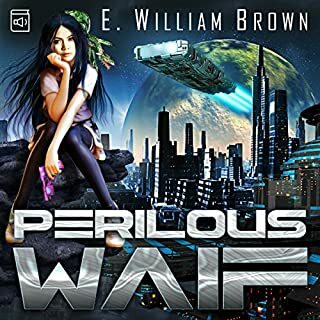 We have various levels of peril in these tales - peril to Honor’s family and career, to her life and the lives of those she commands, and very real peril to her country. We have a large company of characters; people (on both sides of the conflict) that are honorable and whom we grow to love, as well as people (on both sides of the conflict) who are venal, evil. Many writers become so fond of their characters that they can never kill off the good guys. Weber does--on a regular basis. It takes some getting used to. AND Weber writes amazingly good action scenes. 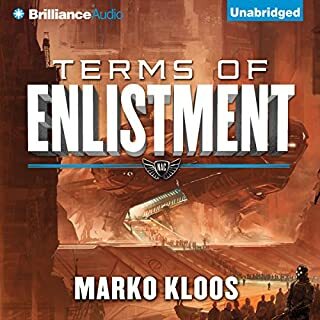 There are now more than 20 books in this series, I think (the main series has 13 books, but there are also a couple of spinoff series and at least five anthologies of short stories in the Honorverse). Many people say that the first three books in the series are the best. I would agree that the first three are among the best, but I do have some favorites that occur later in the series. There are also five or six compilations of short stories in this series. I have reviewed a number of them. Many of them provide tidbits of information that will help you understand events in the next full-length novel. There is no question, however, that later books in the series are too wordy and have too few action scenes. So here is the bottom line: I recommend this series. It is one of my favorites. But each person will have to decide whether they will read the next book in the series. My son stopped reading them at about book 9 or 10. I quit once, then started again, and I think I may have quit completely now. But don’t let poor books late in the series stop you from starting the series. You would miss out on some great stuff. 70 sur 77 personne(s) ont trouvé cet avis utile. 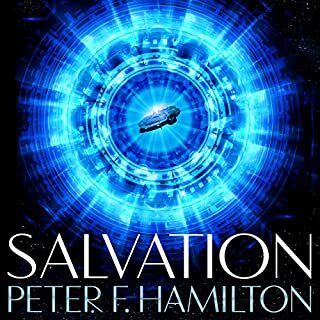 This is the first book in the Honor Harrington series, and there are 12 more at this time, plus several collections of short stories in the Honorverse. 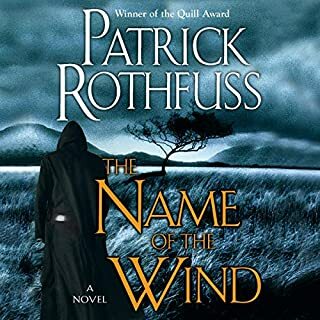 I have read them, and own many, but was reluctant to listen to them because of my main complaint with these books - too many meetings and conversations to explain plot points. I found though, that the narrator did a great job of making even those tedious parts interesting! I am purchasing more, and hoping they continue be this good. I appreciate DW's explanation about the pronunciation of Manticoran. Otherwise, I would have been really irritated! Mispronunciations are a pet peeve of mine! 24 sur 26 personne(s) ont trouvé cet avis utile. Story - Since this is the first of the series, it begins with a lot of background information, character building and somewhat confusing politics, but after that's out of the way (hopefully), there is a lot going on. There is interesting crew dynamics, a mystery to solve, battle strategies to plan and plenty of actual combat. Honor is a smart, strong and dedicated starship captain who is determined to fulfill her duties regardless of risk, and I think her duties will provide for an excellent sci-fi series! The book is not exactly what I'd call an "easy listen," but neither is it mentally or emotionally taxing. It comes to a satisfying conclusion, so it can stand alone as a story. Narration - This narrator does a great job. I love it when men sound like men and women sound like women, and she does both sexes well. Not only that, she does some pretty decent Irish, French and Spanish accents. Overall - This book is not a must-hear, but it provides some good background information which may be helpful if you continue the series. I've been a fan of David Weber's Honor Harrington series for years. It's great to finally have unabridged audio versions of them. My only caveat is that the narrator is difficult to understand at times. Her voice is a good choice for Honor, but her interpretation is very different than my own has been (in my head) during my many re-readings of this book. 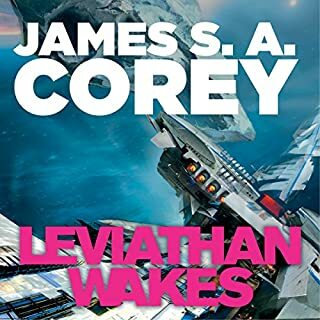 I enjoyed this audiobook throroughly. Excellent story line, excellent character development, and excellent reading of the material. 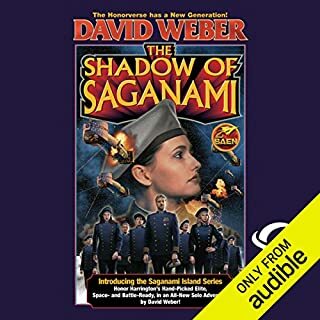 If your not familiar with David Weber this would be a good introduction. The battle scenes are expertly described and the science of the time is presented in a believable fashion (but doesnt overpower the story). If you enjoyed the Dorsaii series you will like the Honor Harrington novels. I was really bummed by the other reviewers who really blasted the reader of the book. They complained about her pronunciation of a few words and claimed she read in a monotone like a newscaster. I have to remember to sample for myself in the future. I think they all have expectations that are way too high! I've been waiting for these audio books for a long time. I've read all of the Honor books multiple times and I am pleased with the interpretation. 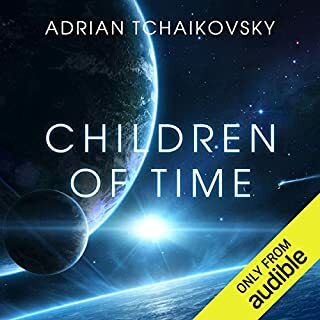 Is it the best book reading I've heard in my 5 or 6 years using Audible? No. But it is far from the worst, very far. 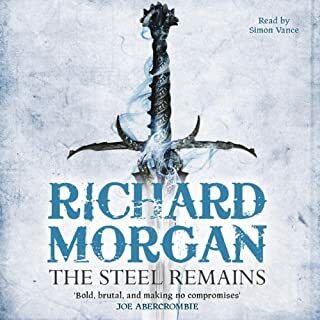 The story is excellent, the characters and their development over the book and indeed the series are amazing, and the books are on audio unabridged at last! 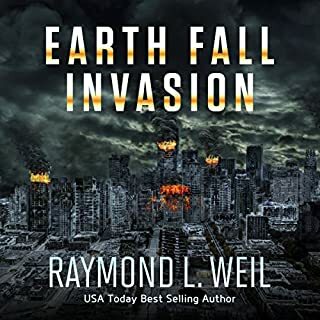 I say listen and enjoy one of the great Sci-Fi authors and stories of our day. 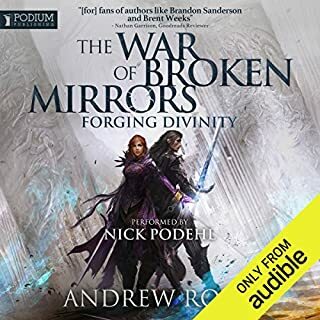 OK, so I think that in the fantasy/SF audio book community we've been spoiled a bit. We're surrounded by several really good narrators: Stefan Rudnicki, Scott Brick, Reading/Kramer, and many more. 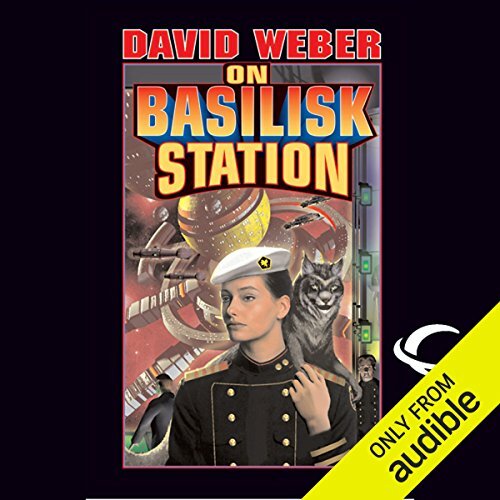 Now all of a sudden along comes On Basilisk Station, read by a "merely" competent narrator, and we react in horror. 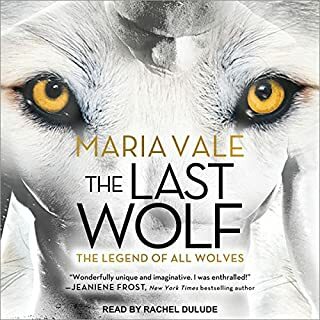 Honestly, I listened to this book in relatively few sittings (I had a couple of lengthy flights to sit through) and I found the story to be acceptably presented. Not excellent, not terrible, but acceptable. Acceptable enough that I will be grabbing the sequels as quickly as my credits renew. 20 sur 23 personne(s) ont trouvé cet avis utile. It's been Fifteen years since I discovered David Weber and Honor Harrington Universe. It was my first encounter with military science fiction, and since that day I was engulfed in magnificent books of Honor Harrington Universe (HHU). Despite all of it's drawbacks, years of waiting for the next book, frustration because of plot and some characters, I Wouldn't Have Missed It for the World. Honor Harrington received a new life with the voice of Allyson Johnson and it was perfect fit, and now you can go through HHU with a guide. The story is set in a far future in the age of FTL flight. Humanity occupies many star systems across thousand of parsecs, humanity also utilized wormholes which offer instantaneous travel. We follow Commander Honor Harrington, she received her CO assignment on Her Majesty’s light cruiser Fearless Located in Basilisk system. Though Basilisk has become a dumping ground for misfits and rejects from her home colony of Manticore, Honor is determined to discharge her duty regardless of the circumstances. Please Listen to it You won't regret it, I promise!!!!!!!!!!!!! I have never read any of the Honor Harrington series, so I did not have any fan axes to grind about pronunciation, etc. I was a little put off by other reviews complaining about the pronunciation of 'Manticorian' even when the author himself had posted a note explaining that any mistakes were ENTIRELY his fault and not the narrator's. However, I must say that the narration IS something of an issue in the beginning of the book and during any non-dialog, exposition type scenes. The descriptions 'robotic' or 'newscaster-ish' are both completely true, IMO, for at least the first few chapters. BUT- I do feel that the narrator really nailed the main character's voice and I found her voices for other characters to be easy to differentiate from one another and I had no issues with her accents. So for voices, I say she is fine, just rather bland in non-dialog scenes. Somewhere around the fifth or sixth chapter, the narrator seems to get much more comfortable with the material and sounds less wooden. 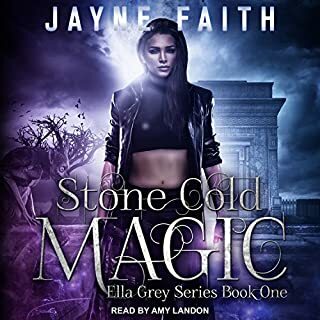 When the story improves and gives her more of interest to narrate, her voice warms up considerably.My instinct feels that her narration for the series will only improve as she continues on with these characters in later books. 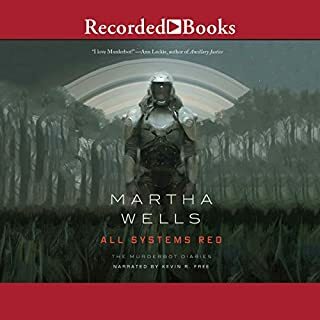 I would have regretted putting this audiobook down early because of my frustration with it in the beginning chapters. And not all of the things I didn't like can be laid at the narrator's feet either. I know this is a beloved series, and being a huge Vorkosigan fan, having been told this was similar space opera, I thought I would try it. Although the character of Honor is likable enough, she is sort of a huge sci-fi chick cliche in some ways. She is about 40 standard- but looks 20 something. She is not classically beautiful, but the 'planes of her face' and 'deep chocolately brown eyes' and 'light soprano' all make her much more attractive than she seems to realize. She doesn't wear makeup or bother with doing her hair, but always looks crisp and attractive- you know the type of female we're talking about. In fact, one of the things I found most irritating to listen to in the first several chapters is the ENDLESS way that her light soprano, ivory planes of her features and especially her deep chocolate brown eyes get inserted needlessly into paragraphs over and over again. I get it that the author likes Honor and wants us to like her- but I also got what color her eyes were, how her voice sounded and the basic description the first five times you told us. It gets almost romance novel-ish the way it goes on- and not in a good romance-novel way. Also, she has a magical (read sci-fi telepathic) six legged kitty cat! Which, ok, cool, I would love one, but it does seem a bit twee for a science fiction series. But I'm willing to suspend judgement here, because it seems like the tree cat might be more important to the series later on and it sort of reminded me of Pip and Flinx, which I loved as a kid. But again- I kept listening and ignored these annoying little tendencies, and hurrah! 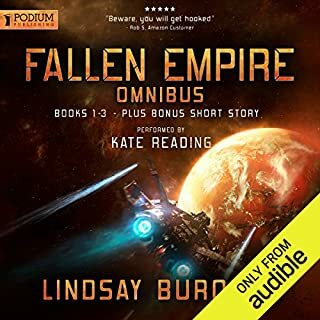 I have been rewarded with a very entertaining sci-fi yarn with an engaging heroine, a relatively complex plot and well-written space battle and political scenarios. 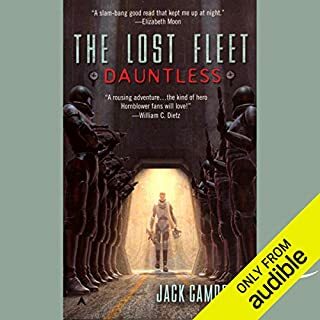 The basic plot of new commander having to win over the ship's crew to her and fighting against the odds is nothing new, but Weber gives it an interesting enough spin and things liven up considerably once the Fearless is assigned to Basilisk Station. Since this is the first in the series, I am willing to forgive it a few snags in the startup, and will be getting the next book. I can't say for sure that Honor and her kittycat and crew will become my new favorite space series, but this book turned out well enough that I am willing to ship out with them for another voyage. 37 sur 44 personne(s) ont trouvé cet avis utile. I was worried about the narration from the reviews, but found it more than adequate. The start of the story was a little slow, and I was wondering if it was going to be the average redemption story. But the naval/marine simultaneous engagement and great character development was totally worth it. I also liked the nod to Prince Roger. Because I am a total nerd, I am going to write a Star Frontiers adventure based around this book. Honor Harrington übernimmt das Kommando auf der HMS Fearless und muss sich mit einer ganzen Reihe von Problemen herumschlagen: Von einer missmutigen Mannschaft über missgünstige Vorgesetzte und politische Intrigen bis zu... Tja, das solltet ihr selber herausfinden. Das Buch ist spannend und das Finale mitreißend. Man leidet und hofft mit den liebgewonnenen Figuren. David Weber neigt dazu, politische Vorgänge, gesellschaftliche Verhältnisse oder technische Abläufe detailliert und über mehrere Absätze zu beschreiben. Manche Hörer mögen das als lästig oder uninteressant empfinden, ich persönlich finde, dass gerade das dazu beiträgt, der Geschichte die nötige Tiefe zu verleihen. Die Sprecherin Allyson Johnson leistet ganz hervorragende Arbeit und verleiht jedem Charakter eine eigene Stimme. Sie liest die Seiten nicht einfach trocken herunter, sondern passt sich der jeweiligen Stimmung der Szene an und verstärkt so noch den Eindruck. "On Basilisk Station" ist das erste englischsprachige Hörbuch, das ich je gekauft habe und obwohl ich meine Englischkenntnisse eher als bescheiden betrachte, hatte ich keine Probleme der Geschichte zu folgen, da Allyson Johnson langsam und deutlich und ohne für mich erkennbaren Akzent spricht. But readers of e.g. The Expanse series will be disappointed. People dying instantly from vacuum, no AI or even decent computer systems and such. It seems that David Weber took a 18th century navy novel and beat it into an unrealistic sifi scenario. For me it lacked the technological forethought that any decent sifi novel should have, even today the level of automation is higher than on ships in this book. From this stories abstract you might expect a dramatic story but the book is far from it. The protagonist just can't make any mistake and her friends and enemies are full of prays. In episodes the story is interesting to follow and to know what is coming next but there are little surprises. I don't regret to have "read" this but wouldn't recommend it either.